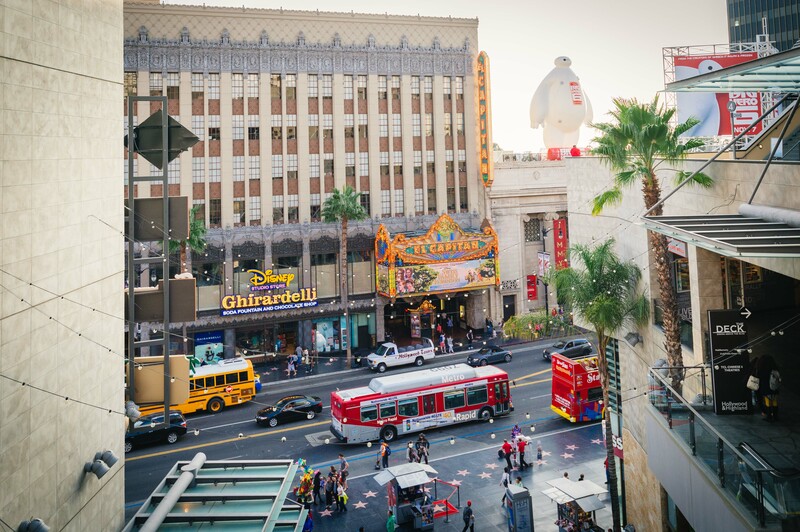 ART OF TRANSIT: Go Metro to Hollywood Boulevard. Metro Lines 212, 217 and 780 will get you there on the bus or take the Metro Red Line. Click on the photo to see Metro ctimetables and maps. Photo by Steve Hymon/Metro. The Metro Board last week approved a six month, $44-million extension of a contract with the Los Angeles Sheriff’s Department to continue policing Metro trains, buses and facilities. Joe Linton takes a good look at the issues on the table as Metro contemplates a more long-term contract with a policing agency or agencies. An audit commissioned by Metro was critical of the LASD’s performance on a number of fronts (with some issues unresolved) and a future contract, Joe writes, could be divided between different entities. Politics, he writes, will likely be in play. One issue to be resolved is which agency handles fare enforcement; the LASD has suggested that fare enforcement consumes a lot of their resources that might be better spent on other crime-fighting issues. The traditional approach was to designate occasional sections of the freeway in which motorists are allowed to enter and exit HOV lanes. But officials in the OC believe it’s safer for motorists to be allowed to enter and exit the HOV lanes anywhere and have been replacing the double yellow stripes separating HOV lanes from general lanes and replacing it with a broken white stripe. CHP says there is anecdotal evidence that continuous lanes are safer and motorists seem to like them better. A draft environmental study has been released for a bus rapid transit project that would connect Palo Alto and San Jose in the Bay Area. One of the BRT times is estimated to generate transit trips that would actually be faster than driving. Will the local populace go for it? As usual with arterial BRT in the US, there will be some mixed-traffic segments, and the line will only be as reliable as its least reliable point. Note that the alternatives seem to envision different responses to city limits, as though anticipating that as you get further west (which means wealthier, but also closer to big destinations like Palo Alto and Stanford University), support for exclusive lanes will decline. It will be interesting to see if this is true, in a very educated polity, when the benefits are understood. In other words, the usual challenge with BRT: will people be willing to lose general traffic lanes to a bus lane? Around the U.S., the answer is often ‘no’ and that’s one reason officials pursue rail projects instead. Rail may be more expensive but in some ways is politically easier. Many business owners and residents argue that, by virtue of being small and independent, these new storefronts create a net gain, bringing greater public safety and infusing capital into the neighborhood. Some say the protesters are focusing on the wrong issues and, instead, should be targeting the area’s fast food establishments and check cashing stores, working to eliminate gangs, or trying to effect change through local government. Highland Park, of course, is served by a busy Gold Line station one short block from Figueroa and both Metro and city of Los Angeles DASH buses. The neighborhood has been on the upswing for quite some time and I suspect the plethora of transit connecting it to downtown L.A., Pasadena and beyond is one of the big draws. About the policing, last Sunday evening I took the train from Southwest Museum to 7th Street. Upon leaving the Gold Line at Union Station, I was required to show my TAP card. Then, a couple of minutes later, sitting on the Red Line train waiting for it to depart, I was asked to show my card once again. A man nearby didn’t have one, so he was simply asked to leave — no fine, no warning, nothing. If you’re going to inconvenience the public by asking them in the space of five minutes to show their TAP card twice, then you need to be more forceful about dealing with those who don’t have one. Or you might as well get rid of all policing. I can understand why, when the system was created years ago, they decided to have no latches to make it friendly to new customers. But when the MTA finally decided to have latches, like any other city, they should have chosen a more effective design that really keeps more TAP-less people out. What we have now is a joke. Whoa, I didn’t know Ghirardelli now has a presence on Hollywood Blvd – speaking as someone who grew up near San Francisco, that is all kinds of awesome. As someone who grew up on the peninsula, I’ve seen how traffic on El Camino has started approaching LA levels of congestion. For all I know, it might be there already. Some parts of it through San Mateo County are only two lanes in each direction, so perhaps it could survive the removal of lanes for buses where it’s currently three in each direction through Santa Clara County. If it happens, I wouldn’t be surprised if it becomes as successful as the Orange Line here. I didn’t realize Ghiradelli was there either. Good hot fudge sundaes based on the one I once pigged on in S.F.! 1. 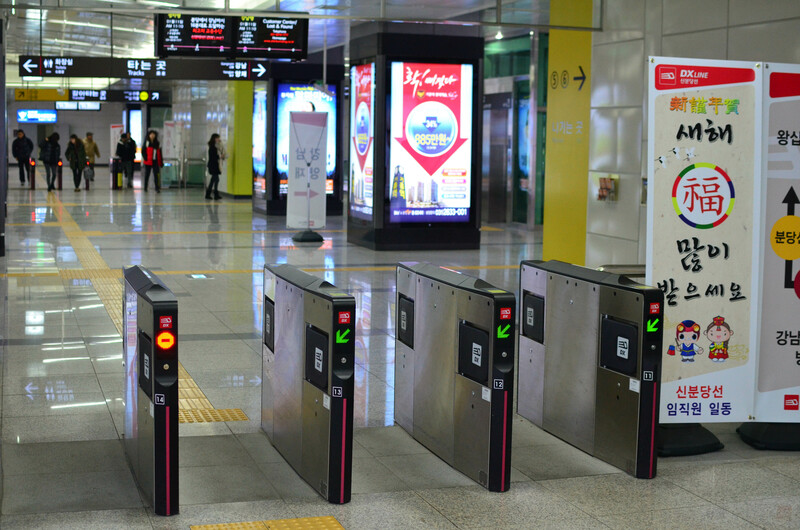 Gate all stations. No exceptions. “Unable to gate half the stations” is not a valid excuse. Figure it out, that’s your job, Metro. 3. Move to a TAP-in/TAP-out system. You check in, you check out. You TAP when you enter, you TAP when you exit. No one gets out unless you proved that you paid or have a valid ticket. All of these are rational, simple, common sense ideas that are implemented in cities all over the world, in places where mass transit use is in the millions per day. If it works fine to move millions of people everyday, it can be done here. Why is this stuff so hard to figure out?